American merchant and author; born at Philadelphia May 22, 1861. In 1877 he went to Europe and studied three years at Zurich. 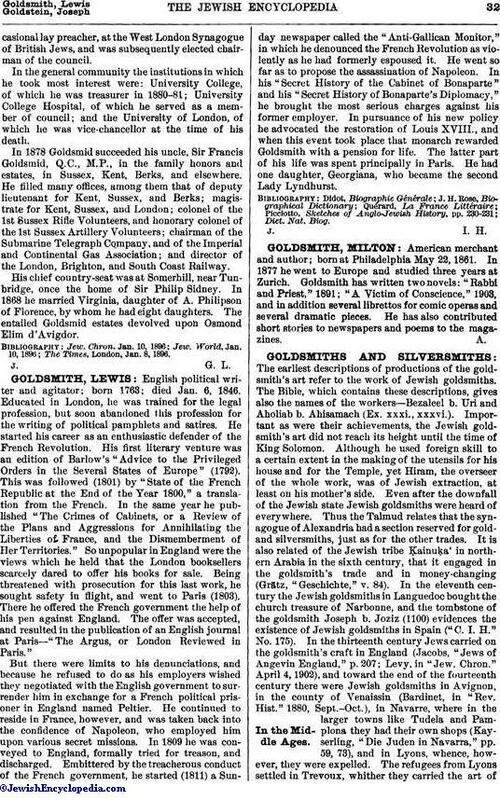 Goldsmith has written two novels: "Rabbi and Priest," 1891; "A Victim of Conscience," 1903, and in addition several librettos for comic operas and several dramatic pieces. He has also contributed short stories to newspapers and poems to the magazines.